ST. PAUL, Minn.—Summit Brewing Company today announces the release of Zingiber Cream Ale. The 22nd beer in the limited release Unchained Series will be available on draught and in 12-ounce can six-packs the second week of June. For his latest Unchained brew, Summit brewer Christian Dixon delivers a tribute to one of the true American beer styles, utilizing the best of both modern and classic techniques and ingredients. Zingiber Cream Ale is a 50/50 hybrid of ale and lager, brewed identically and fermented separately utilizing unique yeast strains, then blended after fermentation. The combination lets the true characteristics of both styles shine through. Clean and crisp meets malty-sweet, full-bodied and robust. The addition of organic Hawaiian ginger adds a bright, spicy dimension to this refreshing brew. The next Unchained Series installment will be announced this fall. Live music by Dan Israel, 6:30 p.m.-9 p.m.
For more information about the Unchained Series and kickoff events, please visit our website at http://www.summitbrewing.com/. Founded in St. Paul, Minn. in 1986, Summit Brewing Company has stayed close to its roots, serving the Upper Midwest and Great Lakes regions. 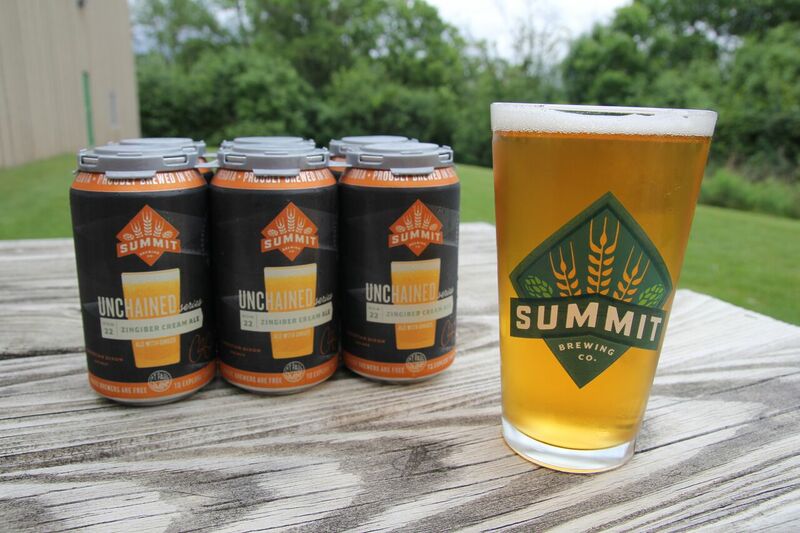 Summit’s beers are currently available in 14 states including Minnesota, Illinois, Indiana, Iowa, Kansas, Michigan, Missouri, Nebraska, North Dakota, Ohio, Pennsylvania, South Dakota, Arkansas and Wisconsin. Summit now produces 14 varieties of premium craft beer, including seven year-round, four seasonal beers, and the limited release Unchained Series and 30th Anniversary Series. Since its inception, the brewery has been a consistent pioneer in the craft beer movement. For everything Summit Brewing, visit summitbrewing.com.